The Food at Villas DeRosa! 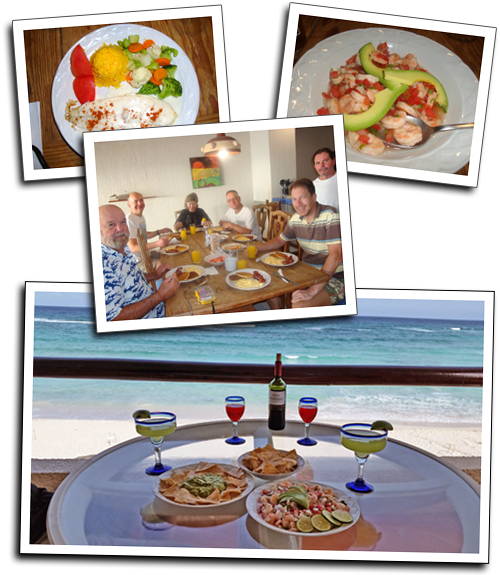 The Chefs at Villas DeRosa Akumal beach front condos are the best around! You're going to love our authentic Mayan cuisine, as well as our selection of international favorites. Any of our offerings can be delivered right to your dining table, or enjoy at the beach bar or rooftop veranda! Our hearty meals are perfect for a day of diving or relaxing in the sun! We're sure you'll enjoy our delicious specialties and fantastic service!